When Wendy and Robin bought their three bedroom bungalow in Essex they felt the kitchen was outdated and in need of renovation. 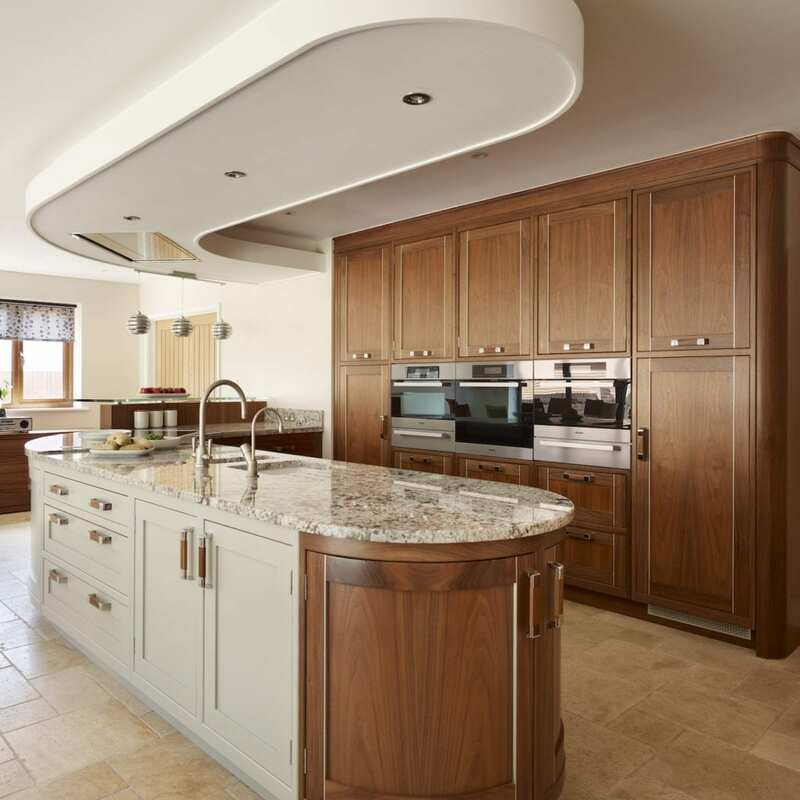 Wendy and Robin specified that they wanted the kitchen to be high quality and handmade with a timeless feel. They felt it important to create a room that was functional as a kitchen but also a space to socialise and relax. “The priority was to create a space that would be used other than at mealtimes” explained Wendy. Davonport’s Kensington collection perfectly suited their lifestyle and aesthetic needs. 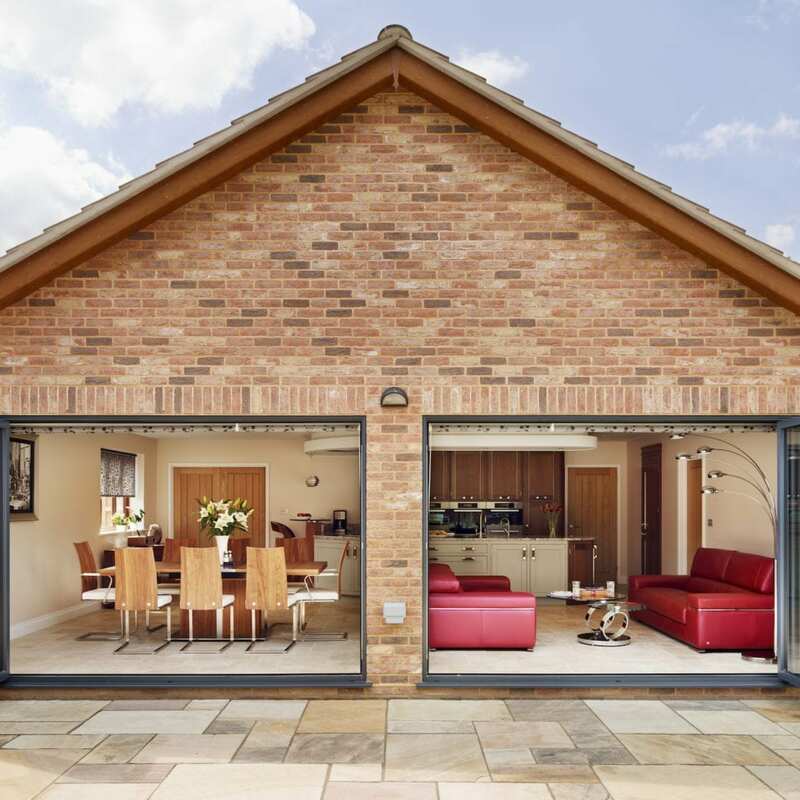 The open-plan living space was divided into four areas; kitchen/diner, walk in pantry, sitting area and utility room. The room had been significantly extended, allowing for plenty of space to accommodate the necessarily large areas. Each area had its own specific lighting system. The lighting systems can each be turned down to create the right atmosphere for different occasions. 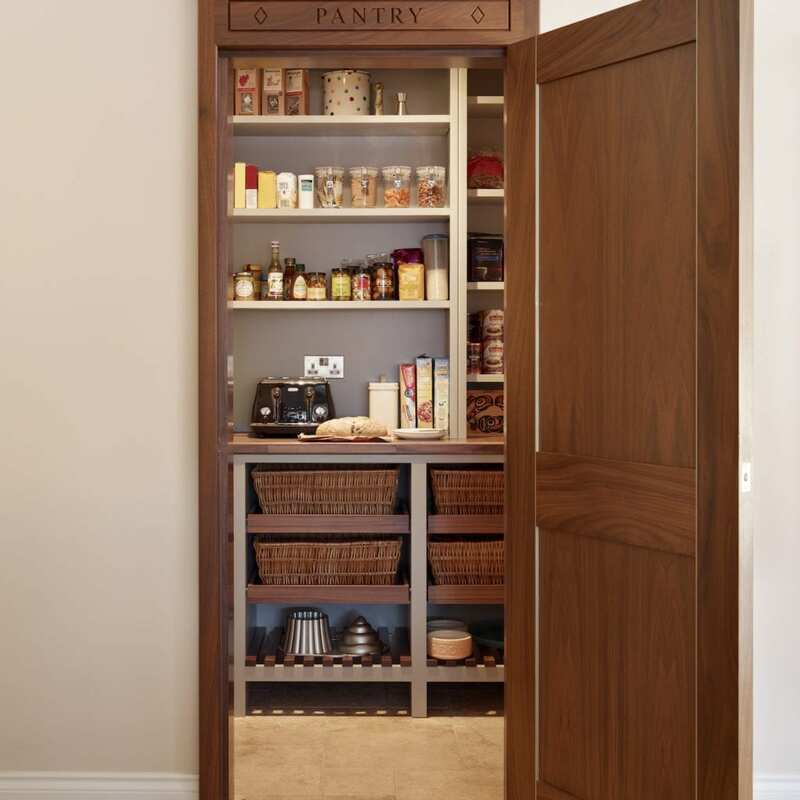 The pantry’s vast amount of storage meant that there was no need for eye level wall cupboards in the kitchen. This in turn allowed for clean lines and consequently a sophisticated and elegant finish to the room. 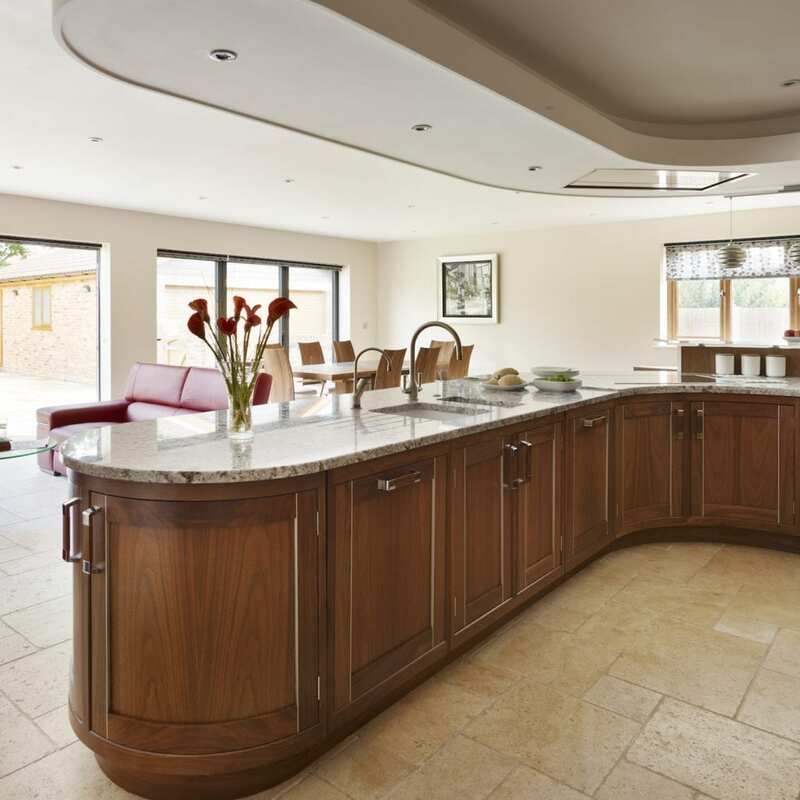 “The curved kitchen area was specifically designed to allow us to see across the whole room and give the space a more sociable feel” explained Wendy and Robin. The lack of eye level units assisted in creating this sociable, open atmosphere. The island itself was designed to be ergonomic, with plenty of storage that made accessing necessary appliances easy. Walnut was used throughout the design, giving it a rich warm finish. 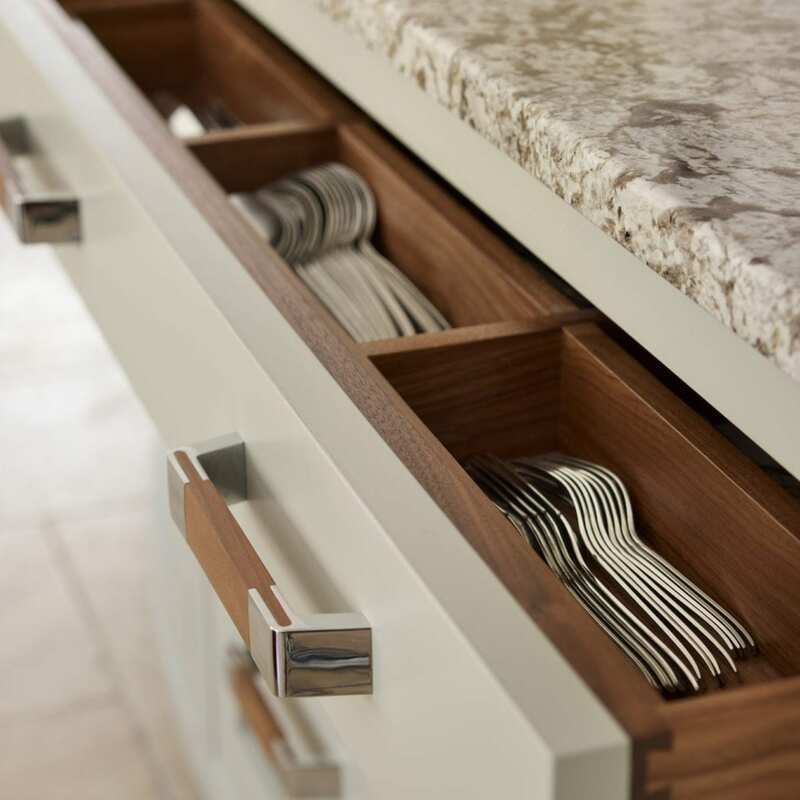 Walnut and steel handles were incorporated alongside walnut-lined cutlery drawers. 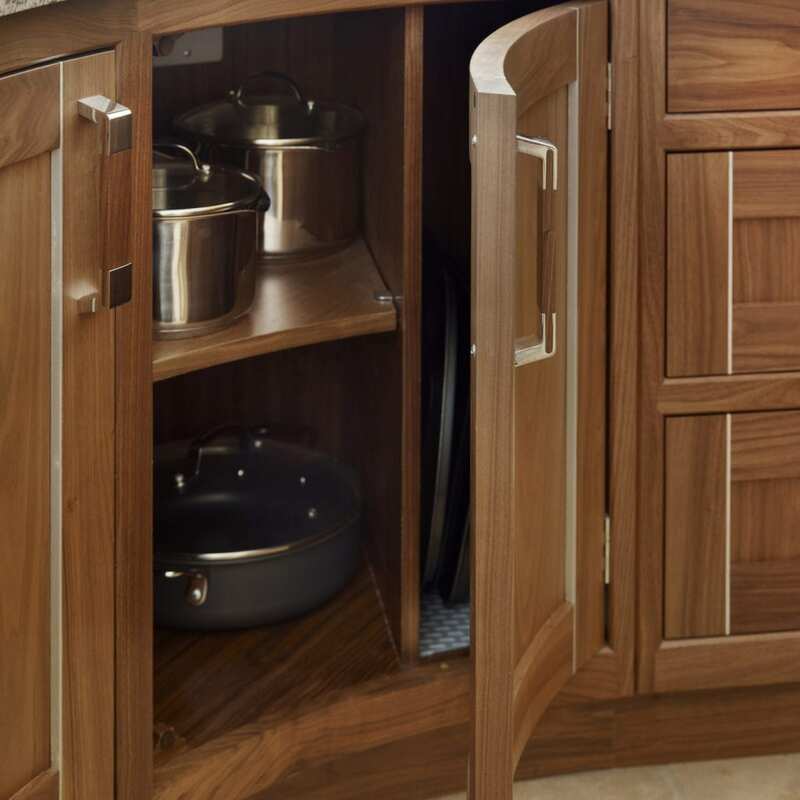 The cabinetry and island itself were also largely crafted out of walnut. 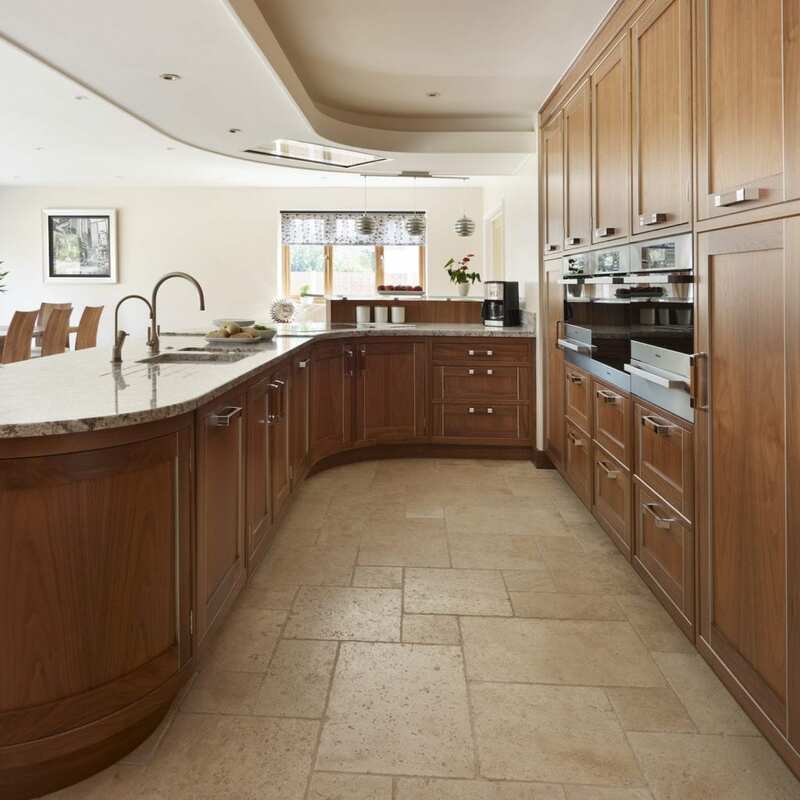 The island contrasted walnut against light coloured hand-painted cabinets resulting in a striking appearance when you enter the room. 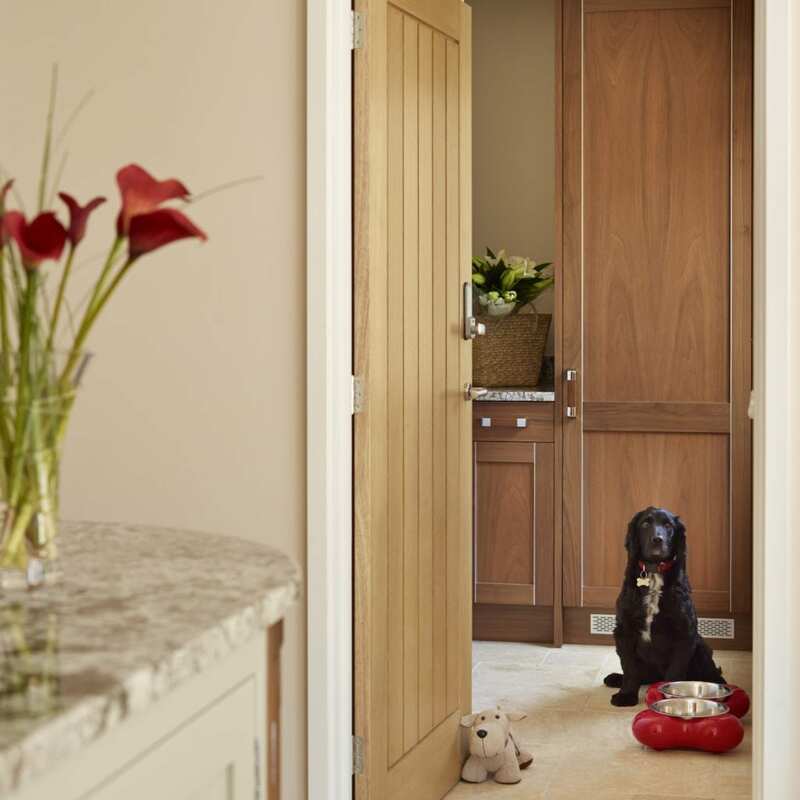 The rich colouring of the walnut works beautifully alongside the light tumbled travertine floor tiles, giving a balanced overall aesthetic to the room. The Juparano Torrone granite surfaces break up blocks of colour in the room creating a more visually stimulating space. As well as the room looking beautiful, it was designed to house hi-spec appliances to make cooking an enjoyable and stress-free experience. Alongside a Quooker boiling water tap, Wendy and Robin had an assortment of top-spec Miele products installed. 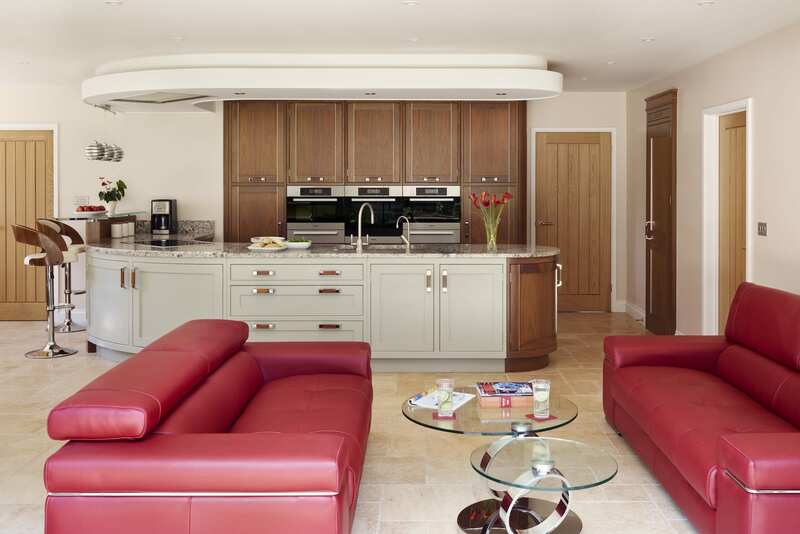 These included a built in single oven, steam oven and combi microwave, two built in warming drawers, an induction hob and a fully integrated fridge, freezer and dishwasher. These Miele appliances were designed to fit the kitchen in a way that resulted in the least need for bending and stretching. 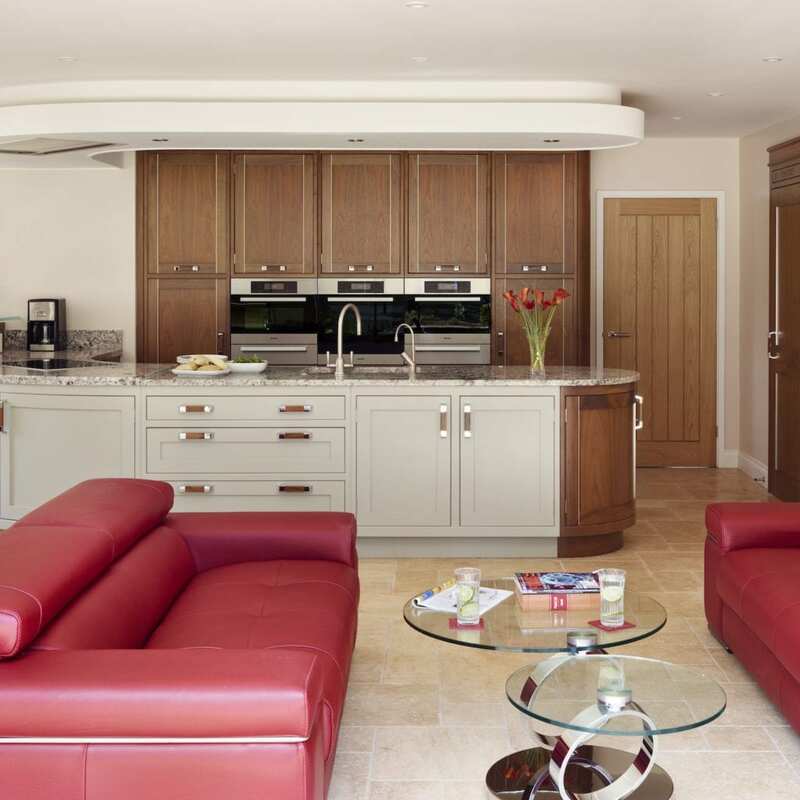 This Kensington kitchen perfectly encompasses the beauty of using bespoke design; the entire room was created to suit Wendy and Robin’s precise requirements. 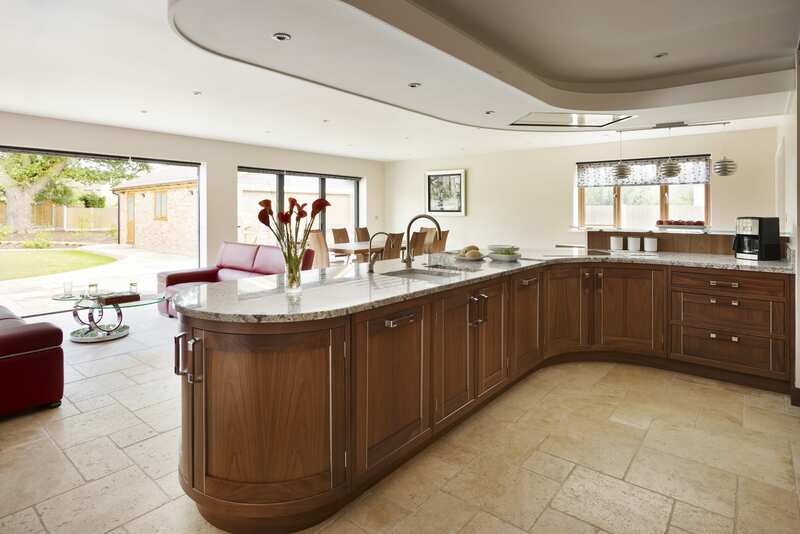 From aesthetic details, to the positioning of the ovens, it was all designed to best suit Wendy and Robin.